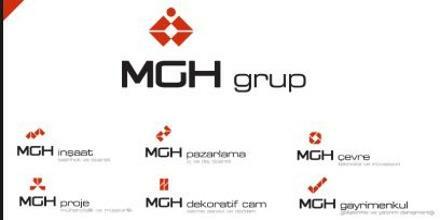 MGH Group is one of the largest conglomerates in Bangladesh. Rooted in Bangladesh, the company is now Head Quartered out of Singapore and has operations in all across India, Pakistan, Sri Lanka, Nepal, Myanmar, Vietnam, Mauritius, Madagascar, Qatar, Kuwait, Egypt, the United Arab Emirates, Kazakhstan, and Nigeria. It was established in the year 1992 as a distributor for Gillette, by Mr. Anis Ahmed and soon spread out to have core investments into Contract Logistics, Supply Chain Solutions, Ocean Carriers, and Airlines GSA representations, Cutting-Edge IT Solutions, Inland Container Terminal Management, Food & Beverage Retail, FM Radio, Cable Television Network, Tea & Rubber Plantation, Commercial, & Retail Banking, Computer Reservation System (CRS) Distribution, Internet Booking Engine, and Inventory of Premium Land Bank respectively. MGH originally started out as the distributor of Gillette and later formed Aquamarine Distribution Limited (ADL) for the exclusive distributorship of Gillette and Kodak Consumer Imaging in the year 1994. It ensured a nationwide retail distribution network reaching over 110,000 outlets and caters to nearly 3 million consumers making Gillette a daily brand among the people of the country. In the later years, MGH Group formed International Brands Limited (IBL) as the distributor of Procter & Gamble. MGH’s decade old relationship with Procter & Gamble has not only helped P&G reach more consumers in Bangladesh, but has also dispersed learning from current best practices of P&G from various emerging market has helped grow major P&G business categories. Now MGH’s contract logistics subsidiary, IBL has separately spun-off stockiest unit, establishing stock points at major markets with the support of trained sales force, and executing direct sales-to-cash cycle with the Modern and traditional retailers. With diverse methods and analytics, MGH analyses the logistics process chain and works together with clients to develop the most efficient supply chain landscape. MGH provides shipping line services and has close liaison with the National Shipping Line of Taiwan, Yang Ming Line which is now represented by Transmarine Logistics Ltd in Bangladesh, and by Transmarine Logistics Asia Pvt Ltd in Myanmar. Yang Ming Line is ranked globally on June 2011, has 66 services all across the world with 3,398,42 (twenty equivalent units) TEUs operating capacity, and major alliances with China Ocean Shipping Company (COSCO), K-Line, and Hanjin. Transmarine Logistics Ltd (a concern of MGH Group) represents China Shipping Container Lines which is largest Container Shipping line of the Peoples Republics of Chinaranked ranked 10th in the world on June 2011, by operating container capacity of 5, 60,000 TEUs with 80 services across the world, raced to global leadership in containerized transportation in just 13 years. MGH also venders carrier services of Emirates Shipping Line DMCEST– a new generation containerized shipping company having niche services to, and from the Middle East, South Asia or India Sub-Continent, Intra-Asia and the African Continent, respectively. Along with these shipping lines, MGH also represents Company Sudamericane de Vapores, Orient Express Lines (Singapore) Pte Ltd, BLPL Logistics (Singapore) Pte Ltd.Sitara, Shipping Lines, and Balaji Shipping Lines FZCO. MGH provides air freight forwarding services and has GSA(General Sales Agent) representations in Air Arabia, Turkish Airlines, Biman Bangladesh Airlines, and Singapore Airlines. MGH provides air freight services in Bangladesh, India, Nepal, Qatar, Egypt, Vietnam, Cambodia, and Myanmar. Jaatra.net is an outcome of continuous delves of MGH Group in the aviation industry for last one decade. It is a complete solution for both online and traditional travel agencies looking for an Internet Booking Engine (IBE) in order to become an online travel agent (OTA) without any development and with minimum cost. It facilitates flight searching, booking and even ticketing over internet through agency‟s personalized website. Jaatra.net drives incremental revenues as it offers, round the clock online self driven travel planning and reservation for travel agent‟s both B2B as well as B2C customers. It provides complete freedom to the Travel Agents to configure the sectors, airlines and GDS according to their business need. Jaatra.net IBE also provides seamless integration with Jaatra.net Back Office system, so that travel agents can have Complete visibility of their business from one single point. Precisely, Jaatra.net is a trusted online travel solution provider which opens the opportunity around the globe. MGH Restaurants Pvt. Limited is the Master Franchisee of Nandos in Bangladesh, and in Nepal. With the first 550 square meters sprawling Flag ship Store opened in Dhanmondi, Dhaka, MGH opened the second 550 square meter store in Gulshan in 2009, the Premium Suburb of Bangladesh. MGH is also the master franchisee of Barista Lavazza with the objective to provide an authentic Italian coffee drinking experience in a warm, friendly, no pressure environment. We began operations in the year 2008 as we felt the time was right for the Bangladeshi consumers to experience a café that provided a third space, away from work and home, where the guest could relax and unwind. Radio Foorti- an MGH concern, the first and only pure-play FM Brand in Bangladesh was born in year 2006. With the network of stations spreading across 8 towns, Radio Foorti is currently heard at almost 2.1 Millions of Households according to the recent Nielsen Research commissioned by Radio Foorti. Foorti has so far helped redefine FM culture, ushering a new way for music to be heard and for entertainment to be enjoyed. With stations in Dhaka, Chittagong, Sylhet, Cox‟s Bazar, Mymensingh, Barisal, Khulna, and Rajshahi currently operating, Radio Foorti plans to roll out additional 22 stations with independent programming capabilities all across Bangladesh. MGH owns a strategic stake of Finlay Tea’s parent Consolidated Tea & Plantations Limited (CTPL). With 16 Tea, and Rubber Plantations spread across 44,000 acres of scenic green land, area, CTPL is the second largest tea producer generating 23 percent of annual tea productions of Bangladesh. CTPL produced Tea is also bought in tea auctions and packed by major Consumer Tea Brands, and regarded as one of the High Quality Leaf Tea and Tea Extracts. In early 2000, when Gulshan, the trophy location of Bangladesh was merely a residential aspiration of the inhabitants, MGH with a mentor-partnership started to acquire premium Gulshan Avenue locations as part of the Portfolio Diversification Strategy, and now hold 4 major locations, and a few more pieces of land in the Land Bank Inventory. MGH Foundation was set up to assist Non-Governmental Organizations (NGOs), individuals and organizations to eradicate child labor and provide guidance, direction and help to improve lives of under-privileged children. MGH Foundation also provides Legal Aid to the unprivileged prisoners who are in false custody and are financially incapable of availing proper legal support. Legal Aid Society for the Unfortunates (LASUF) has been formed to give an opportunity to those falsely accused. The CSR initiatives are aimed at eradicating child labor, empowering women, providing legal aid, rehabilitation, social awareness programs etc. The department presently I am attached to is International Brands Limited (IBL). IBL is a distribution company, a sister concern of MGH Group. IBL is the sole distributor of P&G products in Bangladesh. The department is headed by Head of Finance and Director who has two managers who directly report to him. The core functionality of the company is divided into three categories, Sales (Distribution), Supply Chain Management (SC) and Market Strategy and Planning (MS&P). The Sales Team job is to look after the effective and efficient distribution of the P&G products throughout Bangladesh. IBL has reach over 150,000 outlets all over Bangladesh. The Sales Team operates from 22 of our branches all over Bangladesh. The sales team is led by Territory Sales Officers (TSO) at the branches. The members of the sales team are the District Sales Executive (DSE). The DSE goes to the outlet of their route daily and take orders and delivers the items respectively on the day after. The DSE has to report daily to their respective TSOs to give feedback of their sales. The TSO‟s primary job is to set targets to the DSE and monitor their work and make sure that they achieve their targets. In some of the regions where we have no branches, the distribution at those places is carried out by stockiest. To monitor the DSE at the Stockiest we have DSE Supervisors. DSE Supervisors have similar responsibilities as TSOs but lower in rank. The TSOs report directly to the Area Sales Manager (ASM) of that region. IBL has six ASM managing seven divisions. And all the ASM reports back to the National Sales Manager (NSM). The Marketing Strategy and Planning analyses the strategic initial situation of a company and the formulation, evaluation and selection of market-oriented strategies and therefore contribute to the goals of the company and its marketing objectives. IBL Market Strategy and Planning Department deals with setting of up-coming trade promotions of the P&G products; Expansion of the distribution channel; and adjusting business claims. I was also involved in customer analysis, competitor analysis, and target market analysis. Supply Chain department is responsible to control and monitor the products of P&G product distribution in Bangladesh. The department keeps track of the products which enter the warehouse and determines their storage locations. All the sales order by the branches and stockiest are authorized by Supply Chain Department before an invoice is posted and the goods are delivered. All this is managed by advanced enterprise software known as SAP. This report is about my experience as an intern at International Brands Limited. I successfully completed my internship in the Sales and Distribution department of International Brands Limited under the supervision of Sadiya Shahnaz, Senior Executive at IBL HR. In the report I have explained few of the roles which I have learnt in Sales and Distribution department as well as in Supply Chain department. I gained knowledge on the basic operations of Sales and distribution like Sales, Team work, Trade Promotions, Claim Adjustments, Memo Supporting, TSO/ASM Expenses Recording and Market Analysis. Also in the Supply chain department, I learnt operating the enterprise software SAP, Purchase Order (PO) and Good Received. During 3 month time I was assigned with various responsibilities especially during my training period of 1.5 month. In my internship report I like to highlight 2 different projects in which I was working and still working as an employee of International Brands limited, MGH Group. Detailed Route Coverage Plan (DRCP) project. In the Golden Store program I was directly involved with the customers and was involved in the activation of this project which is one of the milestones for the International Brands Limited. My core objective was to create as much as golden store in my territory and ensure they are achieving their targets. In the DRCP Project the core object is to maintain accuracy and list the shops information correctly for the future route plan depending on which we will set new targets for the territory. After completion of basic training period, I have been assign for this DRCP project, I worked in two different territory and done proper listing of the market. The basic objective and task of this project is to list down all the details (Name, holding number, Products available, competitor‟s product, contact information, shop size and capabilities to buy, etc) of the shops so that in the future need we can have all the information about the retail, wholesale and super shops. Also we redesign our Territory in new way, like some part of shantinagar territory given to the Gulshan branch as during the project work we found many defaults and new roads which made us thought that some market should be shifted to other territory. Also we found huge number of new shops which were not listed in our database previously. Let‟s see some of the factors why this project was very important for the company and I like to put it into my intern report. A sales team in a territory with too much work is unable to cover all the valuable customers and prospects effectively. The sales team can miss huge opportunities if they cannot cover it properly. Normally International Brands Limited do this project after many few years, but this time they focus on this project with huge importance because of the huge infrastructure development in Dhaka, Like Hatirjheel project, Mirpur Flyover and many new shopping malls. So to increase the sales coverage we need the information regarding the shops and their buying behavior, so this brings huge importance for DRCP Project. When we can know details about our markets and customers then obviously company can make move and increase their sales significantly. Like in present condition we are getting the result of DRCP Project. Assigned sales persons are given specific targets based on the shop capabilities. During the Project work, we found many new markets, which were not listed before, so we are getting extra sales from those markets. Now our sales people are assigned with proper cluster and segmentation which is increasing their efficiency. And there is no more conflict among the sales person regarding Which area should be cover by whom? After the project, this time we have all the detailed information of the shops that sales person should cover, so there are no chance of mistakes. Now company is stronger because they know all about the customers and their behavior. All the records firstly taken by the new team of Merchandiser than other team entered all the information in our central Database. In this way we can track our regular sales and it gave us huge advantages in our monitoring system. During the DRCP Project I worked in three different territories, they are – Mirpur, Shantinagar and Uttara. I worked in this project for total for 21 days and in one week time I had to cover one whole territory. I was given team of 10 Merchandiser, who were in my control and their task is to list all the information regarding the shop. The main thing we try to focus during this project is to find uncover markets and know information regarding the competitors. Proper Segmentation of the area, like during the morning time I used to sit with my team and by checking Area map we made different clusters and decided the merchandiser who is going to cover which area. Proper Checking and Monitoring of the Project work, as we had to cover huge area and we need to cover all area by walking. So it was my core duty to check continuously whether my merchandiser are covering all the area and not missing out any shops which were meeting my requirements. I had to set targets of the store by assuming the size and product of the store, so that from next visit we can give targets to our sales person. Checking the Competitors Product and what products of my company can be placed in the shops which were not previously available there. Like as Uniliver Bangladesh is the leading FMCG Company and they have huge distribution channel. So our plan was to follow and check what kind of uniliver products are available in the shop, if their products are available in the shop then there should be P&G product too. Motivating and Managing team was another core responsibility I had to take. Managing 10 different minds and controlling them to a central focus point was the very difficult task. I have to motivate them to walk under the sun and list details about the shops, which I myself belief was a very difficult task. Reporting to the head of GTM (Go to Market) manager was another important daily task for me. I had to collect the entire list from my merchandiser and need to submit daily reports of the route listing. During the project work, I have walked almost 50% of the Dhaka city including (Mirpur,Shantinagar and uttara Area), that was a huge experience and I couldn‟t believe that I could walk that distance .Also I came to know about the new routes and address where I haven‟t visited in Past. Some of the unknown area for me I covered during the project are – RK mission Road, Bishil, Gudaraghat, Solpur and many more places. I came to know about the Market place, where our company actually working. I have been too many rural or under privileged market where I visited, I shouldn‟t have visited such market if I wouldn‟t worked in this DRCP project. I came to know about the company weakness and strength if I didn‟t work in this project. Like our core competitors like- Uniliver Bangladesh are doing excellent job in Distribution where as we are lacking behind in many terms. I would say as a Marketing major student I had great experience and learning period during working in this project. In the beginning of my career, I am working in the detailed root level and gaining huge experience, which my other friends might not be able to get that. Others might be sitting in the Airconditioned room and doing desk job in the mean time I am working under the sun and gaining expertise by working in the root level. Golden Store Program is one of the great initiatives of P&G which were implemented in different countries in the world and which able to brought huge success in terms of sales and customer relationship. Golden store program is kind of a loyalty and relationship program in which P&G would provide many offers and facilities for customers in return they would expect the proper display program and 100% SKU(stock keeping unit) distribution. Bangladesh, again the duty came on International Brands Limited (IBL). The core theme of this golden Store Program is to ensure profit for both customers and distributer. By implementation of Golden Store program we will ensure all the possibilities to increase sales for the customers by doing visibility and POSM (Point of sales Material), so when our customer is selling good it means that we will be able to do more sales with them. So Golden Store program is the biggest retailer engagement program of history of International Brands Limited for P&G since the beginning of the contract. In Golden Store Program as distributer we are providing 5 types of direct benefits for customers and we are demanding 3 types of facilities from customers end. In return we are also providing some extra benefits for customers which will lead us to 30% business growth. TSO‟s played major role during the program starting from the beginning to the end and still working on this project. During the program I lead my team and create more than 500 hundred golden stores in the first week of the project. In the program I was directly involved in the market with my distributor sales executives and convince our customer to be part of our golden store program. The most difficult task we faced is in the 2nd month of the program is to maintain the Golden Store, because its core responsibility to look after customers are achieving their targets and giving me more sales value. Also, I worked in the Supply Chain Department. At Supply Chain department I performed tasks like controlling the Stocks using Enterprise Software (SAP). Also receive order from the branches of IBL and distribute products accordingly from the warehouse. Finally learned how to place Order to P&G and receive products at the Warehouse. (a) Initiative Tracker: This is an online website which is used by the sales force of IBL to update the sales data (Selling Volume, Sales, promotions), this website allows the head office to monitor the sales and pin point the places where the sales team is performing well and where they need improvement. Evaluating the performances of the Territory Sales Officer (TSO) also depended on this tracker. With the guidance of my supervisor, I monitored it for about a week and I was able to indicate the places where sales where good and at the same time report to the management about some specific regions where improvements were required. b) Trade Promotion: This is about setting monthly trade promotion plans for the P&G products. For example, for the month of February we set a trade promotion of „Buy 6 Pantene 170ml Shampoo and Get 1 Free‟. This offer is a trade promotion which is only valid for the retailers and wholesalers. The trade promotions are set by IBL and it needs the approval of P&G. Once the approval is received we launch the trade promotion in the market. A trade promotion can run for a minimum of 3 days to about 3 months. c) Claim Adjustments: There are two major claims which are handled by MS&P department. These are Promotional Claims and Damage Claims. In order to run trade promotions, we have to claim the amount we have spent from P&G and this is type of claim is called promotional claim. For example, as we are offering 1 free Pantene 170ml shampoo on purchasing 6 shampoo, we need to claim the free product. We prepare a database for the total amount of free products (volume) or the amount of discounts we have given and prepare a database of the entire claim and submit it to P&G. d) Memo Supporting: Memo supporting means providing evidence to the Trade Promotions which I had launched in the previous months. P&G asks for memo supporting in terms of memo from different regions in Bangladesh. In this section my job is to collect those memos for the particular promotion and make copy of them and send them to P&G. For example, February had a promotion „Buy 6 Pantene 170ml Shampoo and Get 1 Free‟ and P&G has asked for 5 memos to support my claim for the promotion. So I have to collect 5 memo with this promotion on it and then forward it to P&G so that they can very it and pass my claim. e) TSO/ASM Expenses Recording: The expenses of TSO/ASM include Transportations, General Expenses, and Medical Expenses. Transportations costs are the expenses which are incurred by the TSO/ASM while there visit to the market and their travel regarding job responsibilities. General Expenses are the expenses which are incurred based on official purposes, for example meeting lunch after a long day‟s sales meeting. Medical Expenses can be a regular check-up, medicine purchase, doctor‟s visit and small medical treatment. All these expenses are recorded every month and the expenses are reimbursed on the upcoming months. f) Market Analysis: One of core activities of Market Distribution department is to conduct market analysis. This is basically analysis the market to explore new business opportunity for the company. During my time at the department, IBL has been working hard to get the distribution of ORAL-B and Golden Store in the Market. My supervisor has taken me on board to work for the project. Since the first I have been active and participated well in the development of plan and strategy regarding our proposal to take the distribution opportunity of Cadbury in Bangladesh. Besides my experience in Sales and Distribution, I also learnt few works at Supply Chain Department. Supply Chain is one of the major departments of International Brands Limited. Supply Chain handles all the activities from ordering the products to P&G to the delivery of products to the branches and the retailers or wholesalers. During my time at Supply Chain I have learnt to control and monitor the supply chain activities, by using advance enterprise software known as SAP. I learnt creating Sales Order (SO), Purchase Requisition (PR), Purchase Order (PO), the process of receiving goods in the SAP software of supply chain and creating invoice to vendors. Purchase Requisition: Purchase Request is a precise document generated by an International Brands Limited to notify the purchasing department of items it needs to order, their quantity, and the time frame that will be given in the future. Here the items which are ordered are the P&G products. Some steps are followed throughout the software to create the PR. Sales Order: It is an order issued by the branches and stockiest to the central warehouse. The sales order given is of the P&G products. The branches list down all the category products in the sales order and specify the amount (volume) of these products. The sales order is created in the SAP and forwarded to the warehouse, and the warehouse finished the outbound delivery and delivers the products after the invoice is posted in the SAP. Material Received Report: When the Products arrive at the warehouse, the employees at the warehouse count the products and note down the number of product they received. They note down all the category of products like shampoo, Razor&Blades, Pampers, etc. After they finished they make a database of goods received, damage and short. It is necessary to create a document to keep track and record of the products, and this document is known as Material Received Report (MRR). The MRR report is forwarded to supply chain from the warehouse and the information is entered to the SAP system. MIRO_ Invoice to Vendor: MIRO is a function in the SAP software we create an invoice to our vendor which is P&G. After we have received the goods we create an invoice against P&G and post it. During my first 3 months at International Brands limited (MGH), my major contribution came from the Sales and Distribution departments. I have been able to contribute my skills and effort successfully in the tasks which I have learnt throughout my job period. My supervisor confidently placed me in in charge of MIRPUR BRANCH, during my 9th and 10th week and instructed me to handle the operations of these two departments for the whole 2 weeks. Purchase Requisition (PR), Purchase Order (PO) and Good Received . A new line of Olay arrived during that time and I had to enter 23 variant of Olay Products into the system. The new Olay line was called Olay Regenerist and Olay Natural White. Finally during the end of each day, I had to mail all the Area Sales Manager (ASM), Territory Sales Manager (TSO) and the Head of Departments (HOD) the daily Stock Report and the total Sales Report. The stock report helped the ASMs to fix order for the next delivery. Market Distribution and Supply chain has a complete different set of functions. During my time at head office I carried out 5 major functions, Trade Promotions, Claim Adjustments, Memo Supporting, TSO/ASM Expenses Recording and Market Analysis. Expense report preparation was also a task by the MS&P department but the major process of paying the expenses were done by the finance department. For my market analysis, I visited few of the markets throughout Dhaka city to collect data regarding our Promotional and Golden Store project. I had to carry out the following tasks with the Marketing and Financial Department. Data Tabulation: At first collected data about the current sub category SKU‟s‟ availability, market prices, demand, stock, purchase rate, inventory replenishment rate, and retailer’s margin. I also collected the same data for the competing brands of competitiors. This data were essential to analyze the current scenario of the FMCG market in Bangladesh. Charts and Graphs: Creating graphs and charts to compare my data with the competitors‟ data. Generating Strategy: In order to start Cadbury distribution, we need to establish pricing strategy and volume estimation which we carried out through analyzing the data an sitting with the department heads. Financial Estimation: Along with the financial department we carried out cost estimation to calculate the cost which we would be incurring throughout the distribution channel. We also carried out Cost Synergy to pin point the places in our value chain where we will be cutting cost. My experience at International Brands Limited was profound. I saw the internship program as the first step in a professional career. As such, it can serve as an opportunity to: Explore various aspects of industry, Gain new skills, Apply knowledge to practice, Build network, and learn more about my strengths. International Brands Limited let me experience all of these and more. International Brands limited gave me the opportunity to explore the distribution in the FMCG industry. I go to learn about the distribution of P&G brand products in Bangladesh. Through my work at the Distribution and Supply Chain department I was able to learn the SAP enterprise software which helped me to understand how the products are delivered from the warehouse to all the regions of Bangladesh and into the retail and wholesale outlets. I was able to showcase my knowledge in marketing to help my supervisor at Sales department to set Target and trade promotions. Working with P&G and IBL has helped to know people from different department and grow my professional network. Besides meeting my expectations, I also got to be part of real life project (DRCP, Golden Store Program). My supervisor chose me to conduct the market analysis and conduct the full project. I am grateful to him for the opportunity he had presented me. This project had taught me new strategic tools to plan for new businesses. Besides learning new skills I was able to portray my leadership and team work skills to conduct the market analysis and complete the project. Also, International Brands Limited has given me the opportunity to set a format for the presentation of the monthly review meeting (MRM), which is unlikely for an intern to handle because it requires much of the knowledge of the business. I was able to do it with precision by the guidance of my supervisor and my co-workers. They fed me with all the previous information of the business so that I can prepare my MRM presentation. All the learning in Sales and Distribution during my first 3 months would certainly enrich my resume and add value to my skills as I pursue my career in FMCG industry and flourish. Writing this experience report has helped me discover my skills, and shortcomings. It helped me to focus in my shortcomings and take in more lessons so that I can strengthen my skills and knowledge. All the learning from Market Sales & Distribution and Supply Chain department International Brands Limited has given me in-depth knowledge about the distribution business in FMCG industry. During this time, I faced few road blocks, but I learnt to overcome them by organizing my works and minimizing mistakes on the way. Internship at MGH really delivered what I expected. I achieved everything which I expected of and the Golden Store project made me experience more than just the usual learning of internship.